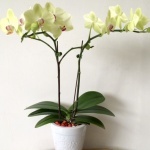 A refined and classy selection of cotton white orchids, elegant and with pleasing characteristics in receiving visiting quests. The all time favourite corporate and wedding gifting. 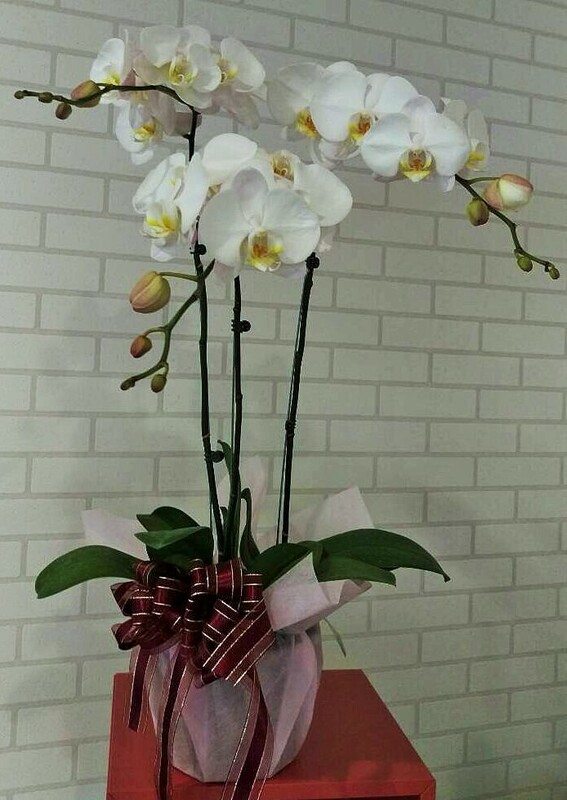 Our all time popular, these large white Phalaenopsis flowers arrangement is best for corporate gifting, office openings, promotions, etc. White is associated with innocence and humanity, with their exotic and majestic appearance, The white orchids symbolize love, refinement, and beauty. 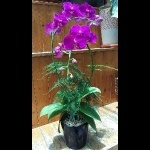 Also available for arrangement in pot with 4 – 12 sprays for different occasions. 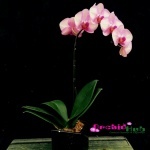 Please call on +65 65626857 or email info@orchidhub.com for discussion on many other alternate flower arrangements.